February 2017: Independent Publishing Now! Publishing University 2017 is just around the corner. 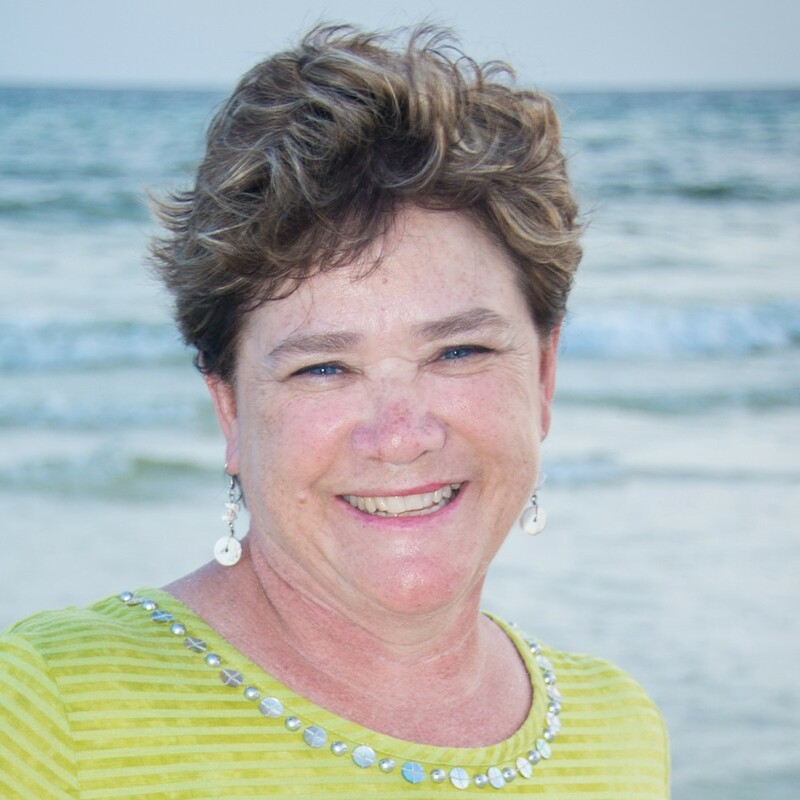 We look forward to seeing many of our wonderful members in Portland this year and are thrilled to have co-founder and editor of The Hot Sheet, Jane Friedman, as our keynote speaker. We encourage all attendees to tune in for the breakout sessions where experts will provide insight into everything from marketing to editing to having that perfect elevator pitch. And if you have the time, make sure to take advantage of some of the sights, shops, sweets, and scenery that Oregon has to offer! The Go Cubs Go, Baseball's Never Give Up Story launch event was held on January 22 at Harry Caray's Restaurant in Chicago. 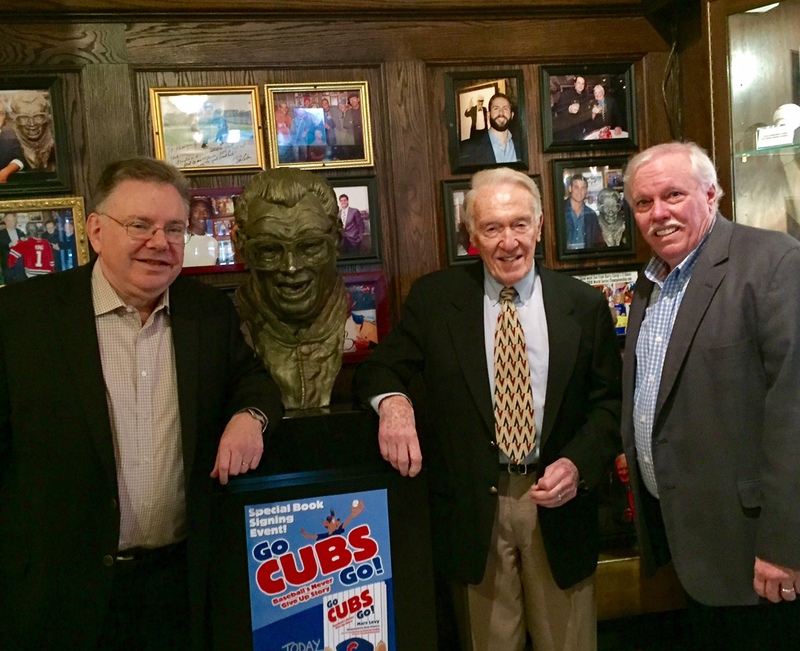 (L to r: Baseball Historian George Castle, Harry Caray, Author and Hall of Famer Marv Levy, with Ascend Books Publisher Bob Snodgrass. After a lifetime as a dedicated Cubs fan, Marv Levy finally got to see his team win the world series. As a result the local legend and modern-day renaissance man decided to write a children's book. Go Cubs Go! is infused with the positivity and resilience that Levy has practiced in his own life. The book was published in December 21, 2016 by Ascend Books, who specialize in "exciting, media-driven books that focus on high profile events, celebrities, and organizations across the country." In a recent interview with The Buffalo News, Levy explains, "It’s a long, hard road, but never give up. That was the theme of ‘Go Cubs Go’: Never give up." The story, which is largely autobiographical, follows the journey of Bruno the Bear, a lifelong Cubs fan who shares his team's long-earned victory with his family. It includes illustrations from Rob Peters and contributions from George Castle. Author Derek Padula displays the most recent addition to his series. 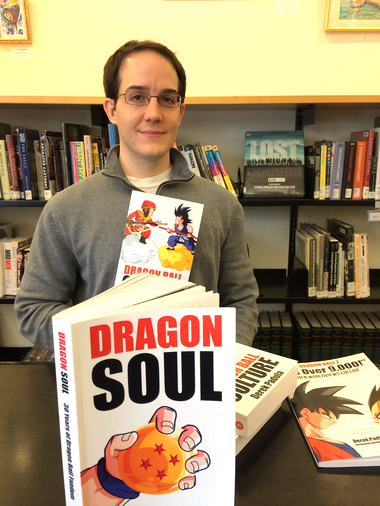 Derek Padula has turned his childhood passion into the bestselling non-fiction series The Dao of Dragon Ball. In an interview with The Cadence, the East Grand Rapids resident discusses how the anime series helped him cope with severe depression. "It helped me see that I should never give up - no matter how bad it got... Watching the characters stand up and fight, I became a much happier and well-rounded person. By studying martial arts and watching 'Dragon Ball,' I transformed myself." Padula has sold over 10,000 copies of his nine books as an IBPA member. His latest book, Dragon Soul, tells his personal story and the stories of other Dragon Ball fans. Mims House Books author Darcy Pattison. Darcy Pattison's Nefertiti, the Spidernaut: The Jumping Spider Who Learned to Hunt in Space has been named a 2017 Children's Book Council/National Science Teacher's Association Outstanding Science Trade Book. This is the second award for Mims House an independent publisher that focuses on educating children through themes like healthy environments, family dynamics, and using their own voice to write. 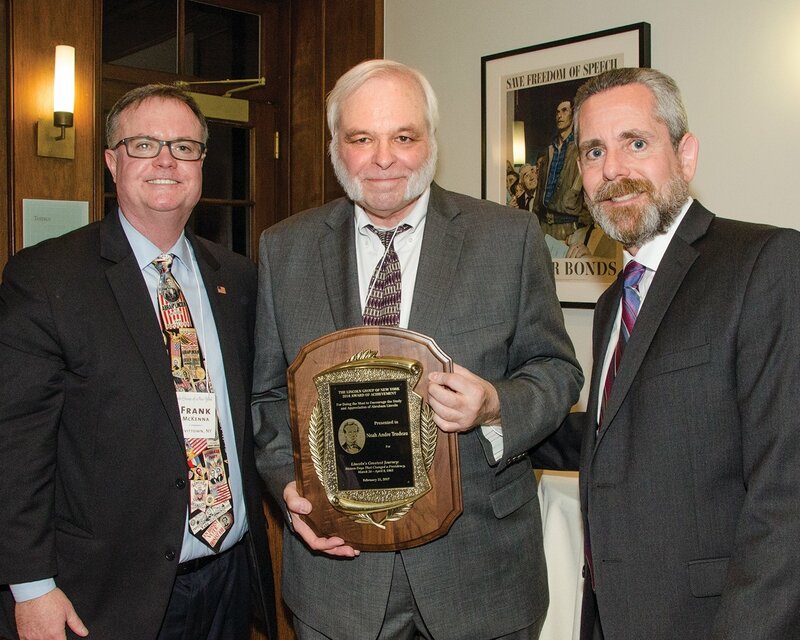 Pattison has now received this award three times. Her fourth animal biography, Rosie the Riveter: The Celebrated Jumping Frog of Calaveras County, is scheduled for release in 2018. 2016 Award of Achievement Presentation (L to R) Frank McKenna, Noah Andre Trudeau Steve Koppelman. Credit Henry F. Ballone. Acclaimed historian Noah Andre Trudeau has been selected by the Lincoln Group of New York to receive the Award of Achievement for his new book Lincoln's Greatest Journey: Sixteen Days that Changed a Presidency, March 24 - April 8, 1865, published by Savas Beatie. The book gives the first comprehensive account of the important period during the twilight of the Civil War, when Lincoln travelled to City Point, VA at the request of General U.S. Grant. Trudeau creates a complex picture of a President profoundly affected by the events of his journey as he struggles to move the country forward through a tumultuous and devastating time in U.S. History. Dr. Ichak Adizes, founder of the Adizes Institute and author of The Power of Opposites: How to Succeed in Your Marriage & Family Not in Spite of, but Because of, Your Differences. After escaping from a concentration camp, Ichak Adizes and his father found sanctuary in an Albanian village. They returned to Yugoslavia after the war, where Adizes became interested in organizational theory and began to find his voice as a writer. 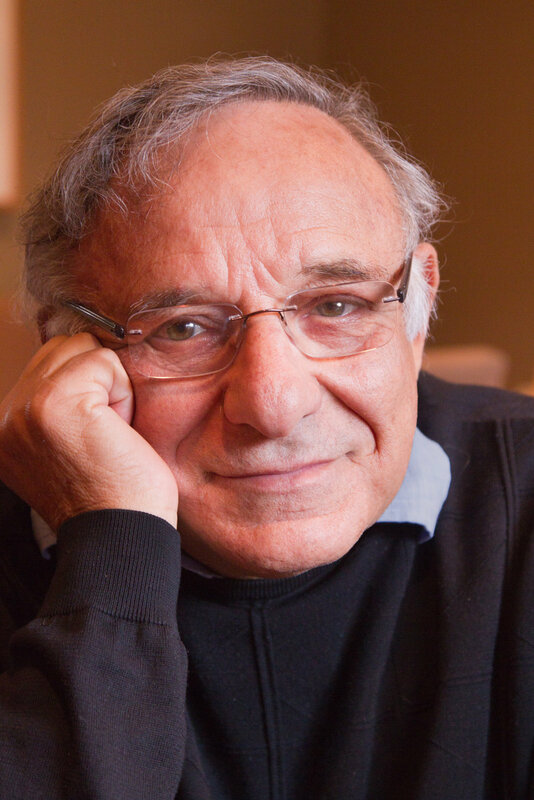 He went on to become a professor at Stanford, Columbia, and UCLA, and founded the Adizes Institute, an international association that works to improve organization management. Currently, Dr. Adizes has written over 20 books and has assisted clients from Bank of America and the U.S. Treasury, to governments in Iceland and Montenegro. His recent book, The Power of Opposites: How to Succeed in Your Marriage & Family Not in Spite of, but Because of, Your Differences, has been published by CreateSpace Independent Publishing Platform. It examines how we can learn to use our unique strengths to build better, more successful relationships.